Blogging is one of the best business development tools for professionals wanting to establish expertise and authority publicly. Companies in the B2C space who blog generate 88% more leads that those who don’t. Companies who have published more than 50 blog posts average a 77% increase in leads generated than those with less than 50. These statistics should provide some reassurance to professional advisers that putting your thoughts, opinions and expert guidance into generic written content has commercial merit. Blogging helps establish professional credibility and authority, and helps articulate particular areas of expertise for the market. You write about what you know about, and bring your own perspectives, style and opinion. Today’s consumers are actively looking for professionals with expertise and the ability to articulate it. Blogging also helps potential customers find the right professionals through search, or to find out more about a topic before deciding to engage any professional. The professional they are likely to choose to work with is the one who they have been taking online guidance from and whose opinions they already respect and subscribe to. 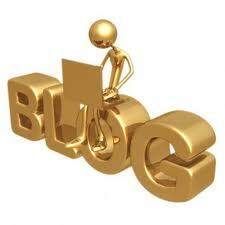 Blogging will get you more business opportunities than your competitors who do not blog. Doing it consistently – and consistency is incredibly important – produces an even better results as it builds an engaged audience, who will often promote your authority and brand through the sharing of your articles and thoughts. The business case is compelling: Advisers really should be providing a professional blog if they wish to be seen as an authority. But I suppose that is true only if they want better positioning for the right sort of business for their practice, and if and they actually more customers. You are probably closer to being an Authority than you realise. Blogging is a MUST for every business who wants to succeed in their online marketing campaign. With all of Google’s updates on its algorithm, content stands to be a business’ strongest online marketing tactic. About 60 minutes ago from Tony Vidler's Twitter via Hootsuite Inc.